Fan opinions have been divided in an explosion of social media activity as details of “Kombat Pack 2” were unveiled at The Game Awards. Marking NetherRealm Studios’ largest undertaking of DLC in its five-year history, Kombat Pack 2 will see an additional four kombatants join the Mortal Kombat X fray in Q1 2016. In what many have dubbed a surprise move, NetherRealm Studios have opted to introduce an additional two guest characters, including Leatherface from The Texas Chainsaw Massacre horror film series, as well as the Xenomorph from the classic sci-fi horror film franchise Alien. 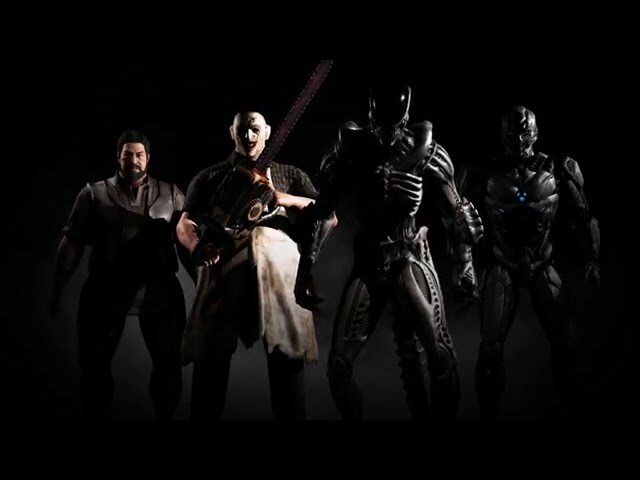 Additional characters include Bo’ Rai Cho, master of the drunken fist, as well as a new kombatant named Tri-Borg, who is the fusion of Cyrax, Sektor and Robot Smoke. How do you feel about this latest batch of DLC? Continue the discussion by registering and posting in our dedicated Mortal Kombat X forum. Also, be sure to like us on Facebook, follow us on Twitter and subscribe to us on YouTube for the very latest from NetherRealm Studios!